Long before the “been there, done that” generation came along in the 1990’s; Phillip (Tib) Young had already done it. When it came to playing and coaching sports, few on the high school or college level could compare to Young. A four-sport star who collected 16 letters at West Middlesex High School (Pa.), Young came to the Wayne County area in the Depression years to attend The College of Wooster. While there he excelled in football and track for the Fighting Scots, winning three gridiron letters and two in basketball. Young’s renown then extended to another arena after graduation (Bachelor of Science degree), when he became Rittman’s head football and basketball coach in 1931. In a 10-year span through 1940, Young guided the Indians basketball squad to the State Tournament twice and compiled a stunning record of 171-34. In the 1938-39 season Rittman went 22-2 in making its first trip to Columbus and then followed that up by going 20-5 to repeat the honor. Four times during Young’s tenure the Indians won 20 or more games, a rare feat in that era, and they never won fewer than 15. On the gridiron, Rittman was nearly as proficient in going 42-19-6 under his tutelage. On three occasions the Indians won eight games, highlighted by Young’s 1937 squad that went undefeated (8-0-1). Both his first and last teams at Rittman had 8-1 records. After leaving Rittman, Young held the same positions a Lima High school for two years. During the war, Young stepped up to the College level in 1942 when he accepted the head basketball job and an assistant football position at the United States Naval Station in Sampson, New York. While at the Naval Station Young served under head football coach Jim Crowley, one of Notre Dame’s legendary Four Horsemen. It was as head basketball coach where he sparkled. In Young’s three years a coach the Naval Station posted an accumulative record of 45-9, including a sparkling mark of 14-1 in his first year on the job. Young’s next upward move propelled him into the job of Athletic Director at Parson’s College in Fairfield, Iowa. He also served as football coach and Dean of Students during his tenure (1946-1958) at Parsons. Young and his wife, Vera, make their home in Fairfield, which he has served in many capacities, including four terms on City Council. It is no surprise that Phillip (Tib) Young is to be inducted into the Wayne County Sports Hall of Fame. 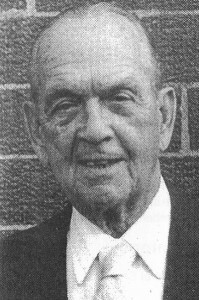 He was placed into the Mercer County Hall of Fame; the country’s oldest HOF, in 1990 and was enshrined into Rittman’s HOF the same year. Few before or since have gone and done as much, as well, in the field of athletics as Young.